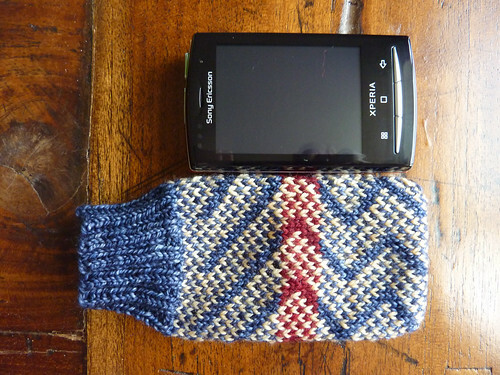 I made a sock for my phone to keep it from getting scratched and banged up. Isn’t it cute? 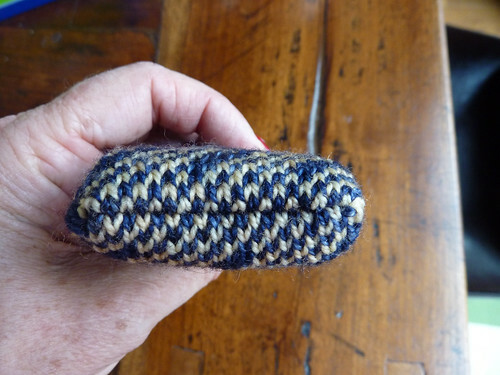 I made it from leftover sock yarn and picked a color pattern that would make a dense and thick fabric. I knit it from the top down so that I could make the ending a 3 needle bind off and I used size 2mm needles. It only took a few days to make. 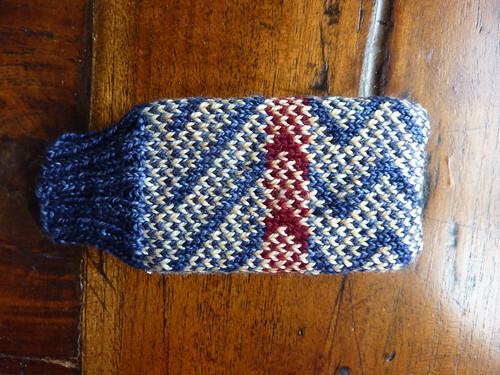 It’s easy to stick my fingers in and pull the phone out and the ribbing keeps it securely in there.